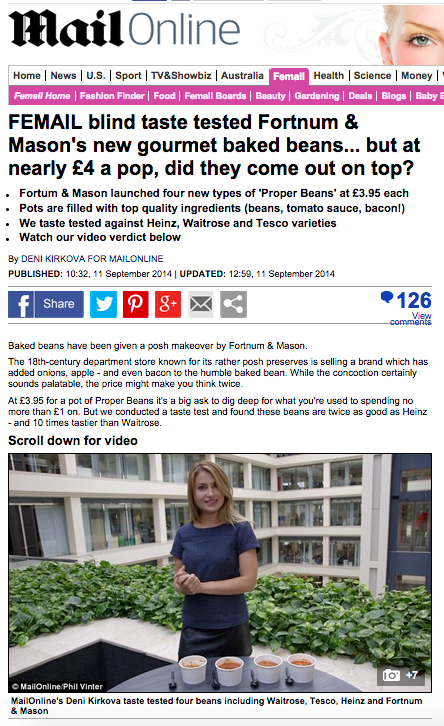 Daily Mail: We came out on top of the baked bean blind taste test! We are the beans champions!!! Click here for the full article.